Hi everyone! With the 2017-2018 school year starting, I thought I'd re-post the steps for submitting student essays to me to grade. You may click on this link for my Essay Grading Service if you'd like to read about my service in detail or you may click on the page "Essay Grading Service" just under the header. You may also click on this link to see some of my Sample Graded Essays or again you may click on the page entitled "Sample Graded Essays" under the header. Please contact me via e-mail using the "Contact Susanne" link in the sidebar if you are interested in using my services. Let me know the age(s) and grade level(s) of your student(s) as well as your goals and/or concerns for him/her/them as writers. Please also alert me to any learning challenges, reluctance in writing, extreme interest in writing, or any other matters I need to know before I evaluate the essays. I usually return e-mails within 24 hours, so you may expect to receive a return e-mail from me in a timely manner. Simply e-mail me the essay you wish to be graded as a Word attachment, including the assignment either in the text of the e-mail or also as an attachment. Also let me know if you would like comments only or comments with a letter grade and anything else I may need to know (such as learning challenges, reluctant writing, etc.) so that I can respond to the essay in the most constructive and helpful way possible. I then download the essay, marking corrections, noting excellence, and offering suggestions for improvement in the right margin. 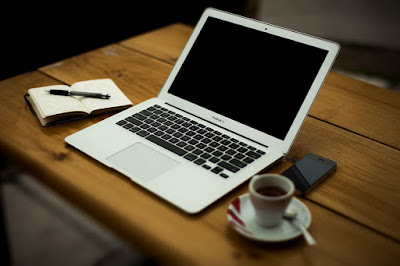 At the end of the essay, I write an overall summary of which elements of the essay were done well and which elements may need further attention. My overarching goal is to encourage growth in the art and craft of writing in our students. Then when I return the graded essay, which I attach as a Word document and also as a PDF (because some Apple computers and tablets don’t show the review comments in the right margin of Word documents), I will let you know the fee: the number of words in the essay times $.03 (3 cents per word, excluding the student's name, essay title, date, and notes for me). If you wish to have your writer revise the essay and re-submit it to be graded again, I charge half as much the second time around. Then you may remit via PayPal, and I'll give you the e-mail address to do so when I return the essay. I definitely prefer to grade the essay first and then receive payment. Regarding research essays, I am well-versed in the latest Modern Language Association (MLA) format style according to the MLA Handbook, 8th Edition (2016) which is the format most commonly used for research in the humanities. Because I am not at all familiar with other research formats such as APA, CMS/Turabian, etc., I only grade research essays formatted according to the MLA style, either the 7th or the 8th edition. So just send along the essay when you're ready, and we'll go from there. Please let me know if you have any questions; I'll be happy to answer them!